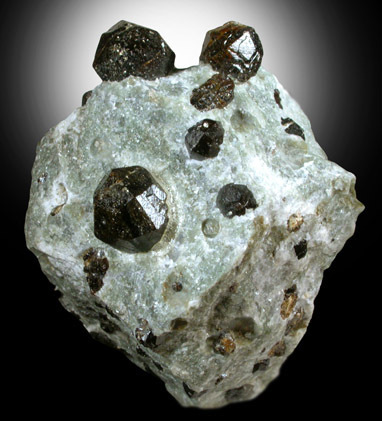 Description: Sharp trapezohedral brown-black andradite garnet crystals nicely exposed in greenish matrix. 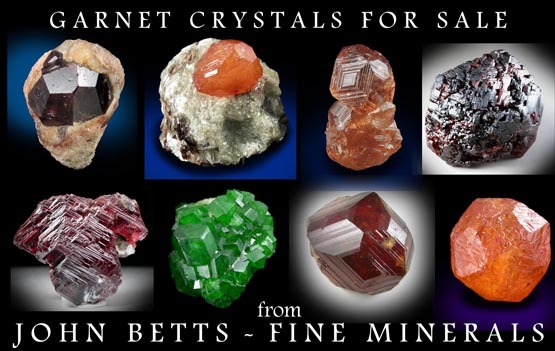 The garnet crystals are complete and lustrous with subtle surface striations on the faces. 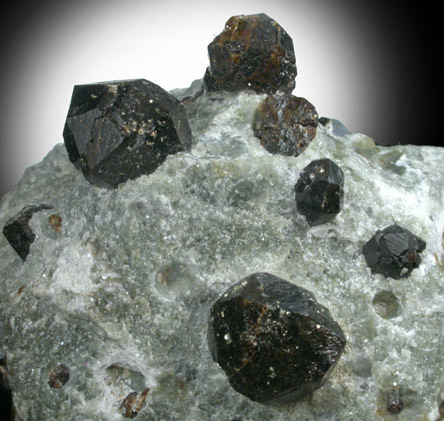 One crystal appears restored but no glue or restoration is evident.